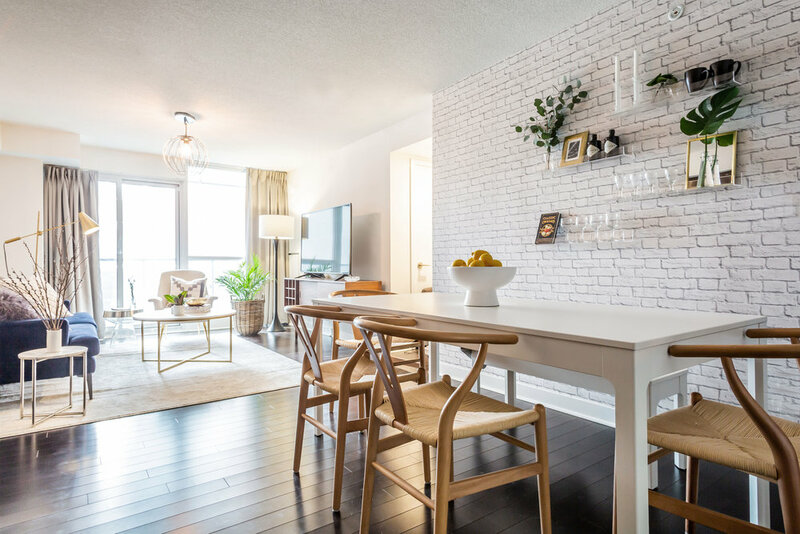 Spaces by Jacflash revamped a once dark, dated and empty condo into a modernly chic and functional living space. We replaced a drab midcentury credenza with a lighter, white oak credenza with metallic details. We paired this metallic credenza with a round and radiant antiqued golden mirror, which transformed the somber kitchen to feel bright and contemporary. On a long, characterless white wall, we adhered a faux brick wallpaper to create drama and industrial charm. 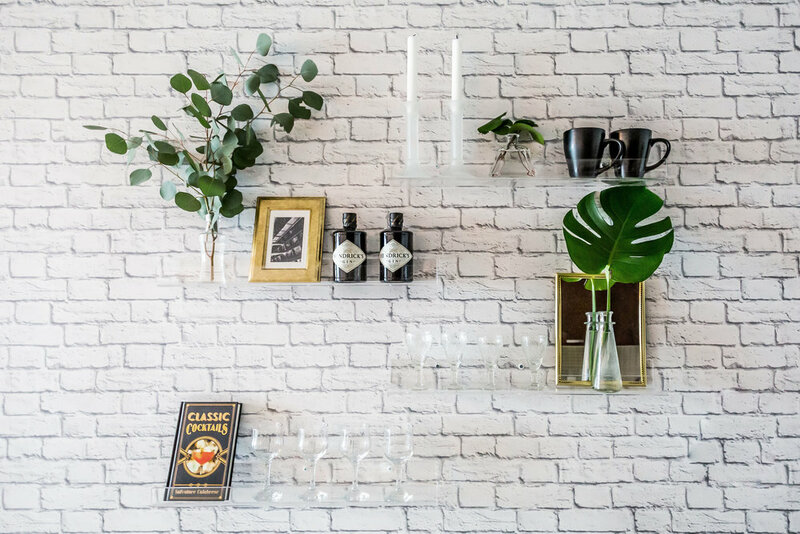 We then installed 4 acrylic accent shelves to the wall, displaying glassware, photos, cocktail books and greenery. 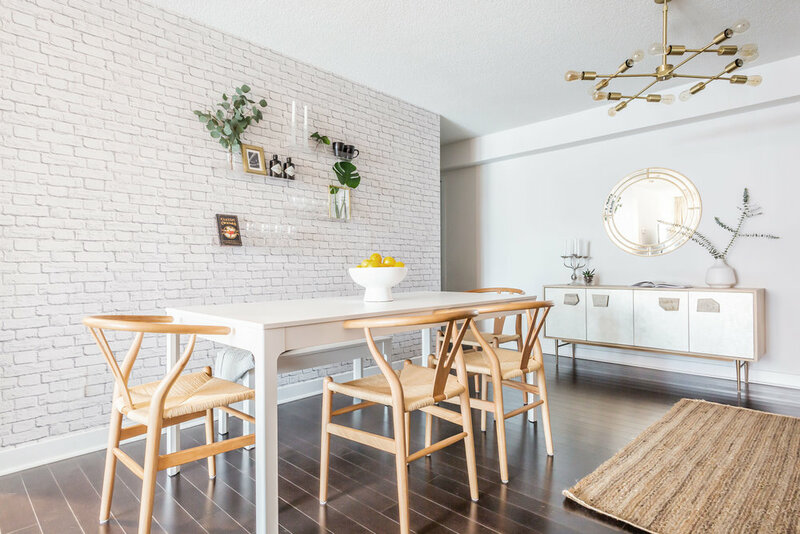 In the previously unused dining area, we added a white dining table and matching bench, 4 wishbone chairs and swapped out a dated track light with a modern, multi-light chandelier. 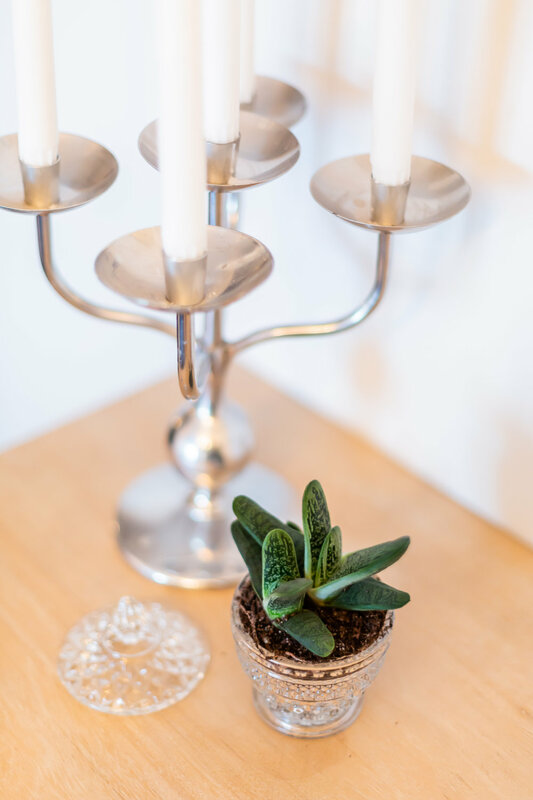 The brighter furniture and lighting, organic elements and industrial design generate warmth, comfort, and character. We were on a budget in the living room as our client opted to keep their existing sofa, coffee table and media unit. We brought in a new rug, side chair and side tables and lighting to add unity, purposefulness, and serenity to the space.